Younger generation wine drinkers have had their fill of the pompousness that's often associated with fine wine. And more brands are catching on, adapting their marketing strategies to include funky labels, laid-back messaging and even wine in cans. 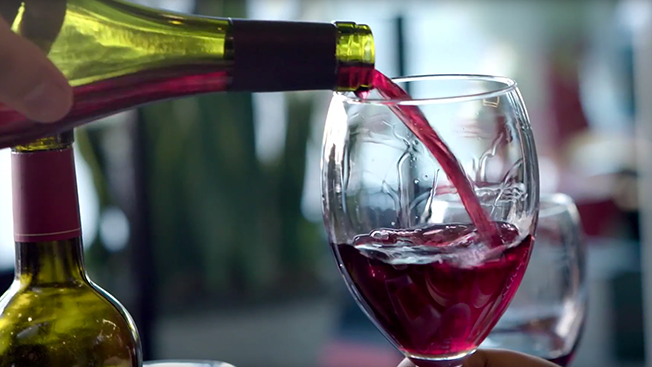 The latest to democratize vino is the Bordeaux Wine Council, or Bordeaux Wines, which markets all wines from the Bordeaux region and is launching a new video series on YouTube to make its varietals more accessible to younger drinkers. The 10-episode series, Beyond Bordeaux, created with agency CreativeFeed, is hosted by Leiti Hsu, founder of the food magazine Word of Mouth. For the new series, Hsu interviews sommeliers and chefs in New York, Los Angeles and Chicago to discuss their favorite foods to pair with Bordeaux and find the best BYOB restaurants in which to drink Bordeaux—from neighborhood pizza places in New York to taco joints in L.A. to sushi spots in Chicago. The idea is to establish Bordeaux as an everyday wine that's affordable and accessible, particularly to millennials and Gen Xers. Bordeaux wine had become wrongly associated with exclusivity, formal occasions, high prices and the idea that the wines needed years, or even decades, to be ready to drink, said Mary Gorman-McAdams, market advisor to the Bordeaux Wine Council for North America. "The strategy was to bring Bordeaux to anyone who wants to drink wine, even if you just have $15 to $20," Gorman-McAdams said. "This campaign speaks a language that's understood by regular wine drinkers and shows that it doesn't need a formal occasion and you don't have to spend three digits. It's a wine to have fun with. It also doesn't need a steak—you can have it with a burger, or vegetarian food, or spicy food, or fried chicken." Bordeaux Wines also will launch a tool called Bordeaux In Your City on its website later this fall to help consumers find the closest local stores to buy Bordeaux. "We told the story in the context of the way everyday people eat and drink—BYOB restaurants and restaurants at lower price points," said Clara Kim, creative director of social and content at CreativeFeed. "Other wine content is much more technical for people who have a certain level of wine knowledge. This series speaks to wine newbies too. It creates a dialogue about the wine that's accessible and interesting."